Washington D.C., Jul 17, 2018 / 03:04 pm (CNA).- Long-time friends and associates of Supreme Court nominee Brett Kavanaugh say he is a sincere Catholic, committed to living the tenets of his faith. Last week, President Trump nominated Kavanaugh to serve as Associate United States Supreme Court. In a short speech following the announcement, Kavanaugh highlighted his commitment to his faith and his family. On the topic of religious liberty, Coffin was quick to dismiss anyone who had doubts that Kavanaugh would be a staunch protector of religious freedoms. 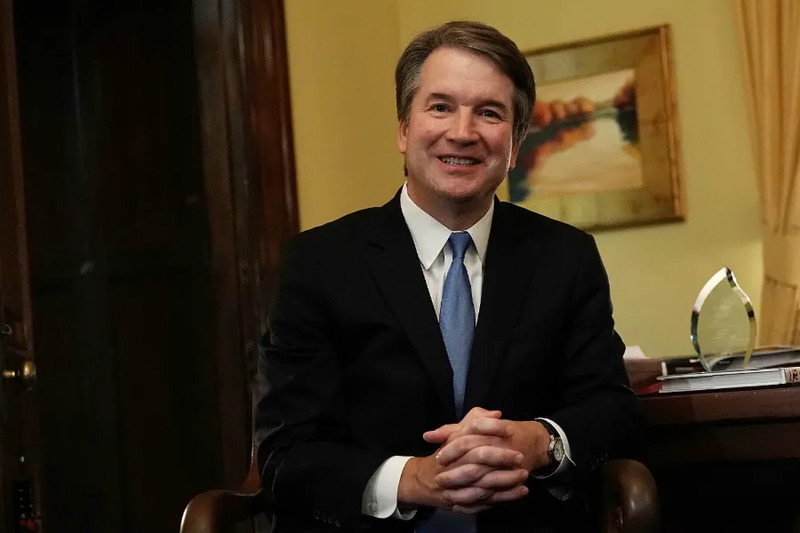 Kavanaugh is a “vigilant defender of religious liberty,” Coffin said, as evidenced by his line of questioning in the recent court case brought against the Washington Metropolitan Area Transit Authority, (WMATA) by the Archdiocese of Washington. While that case has yet to be decided, Kavanaugh’s questions and reasoning made it clear that he thought WMATA had acted illegally by prohibiting religious-themed advertisements. Msgr. John Enzler, CEO and president of Catholic Charities for the Archdiocese of Washington, D.C., is another longtime friend of Kavanaugh. Enzler told CNA they first met when Kavanaugh was just 10 years old. At the time, Kavanaugh was a member of Little Flower Parish in Bethesda, where Enzler was serving as a priest. “He was always a wonderful young guy,” Enzler told CNA. Kavanaugh attended an all-boys Catholic elementary school before moving on to Georgetown Prep. At Georgetown Prep, Kavanaugh played sports, captaining the basketball team in his senior year. “They weren’t that talented that particular year, but he was still the captain,” said Enzler. Like Coffin, Enzler was quick to note that Kavanaugh is “really just a regular guy,” who loves sports, and loves being with friends. Enzler said he did not know that Kavanaugh would be the president’s Supreme Court nominee until about three hours before the official announcement, but it was Enzler’s presence at the announcement that tipped off some people that Kavanaugh was Trump’s pick. Enzler said that when they first discussed Kavanaugh’s possible nomination, the judge was concerned about breaking his volunteering commitments. Kavanaugh asked if he could still come to serve the homeless later that week, saying he said wanted to do so regardless of the nomination result. Kavanaugh called Enzler on Sunday, and said there was a “50-50” chance he would be the nominee, and that he would like for him to attend the announcement were he picked. Kavanaugh has been a consistent volunteer at Catholic Charities, coming to serve the homeless about “15, 16 times” over the last few years, Enzler said. After the announcement was made last Monday, Enzler said he received another call from Kavanaugh two days later, checking if it would still be okay for him to volunteer that evening. On this occasion the media came too, and Kavanaugh definitely wasn’t the unknown volunteer he had been before. While Enzler said he was “very happy” for his long-time friend, he is concerned about what his family will face during the nomination proceedings. Most of all, Enzler believes that Kavanaugh is a “man of complete integrity, and a man of complete honesty” who will make his decisions in court based upon what is best for the nation and what is in-line with the Constitution.